It might be our location , nestled among hundreds of acres of northern Wisconsin forest, plentiful lakes and miles of rivers and streams. Or our staff , dedicated to enriching the character and leadership skills of every participant. Or our focus on promoting youth development, healthy living and social responsibility. We believe it’s all of these, working together, that makes Camp Manito-wish YMCA so special for so many. Read on to learn more about our people, our place and our purpose. 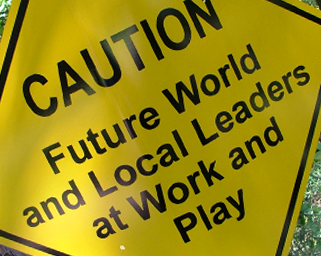 Here at Manito-wish, character and leadership development is at the core of our organization. In fact, it’s been that way since 1919! Our program areas provide excellent opportunities for youth to challenge themselves, become more confident, make lifelong friends, learn new skills — and have a lot of fun in the process! This site has been designed to serve as an information hub, providing you with most everything there is to know about our philosophy, our programs, our staff, and the many great benefits we offer to those who join us for a program experience. So feel free to take this virtual tour of Camp Manito-wish. That said, we’d enjoy taking you on an actual tour when you’re in our neck of the Northwoods! If you’d like to visit us, or if you have any questions about any aspect of our programs, please feel free to call (715.385.2312) or email us. We look forward to hearing from you! Talk to anyone who has participated in one of our programs, attended an event or volunteered their time here, and they’ll tell you of their “Manito-wish Experience.” So what exactly is it? 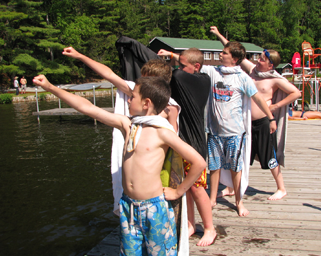 When you come to Camp Manito-wish YMCA, you encounter a place, a group of people and a culture with a singular purpose: To build character and cultivate leadership skills. How that happens at Manito-wish is unique and special. 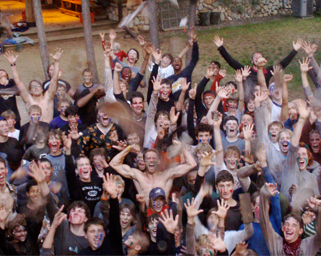 The staff and campers are role models of caring, honesty, respect, and responsibility. There is a close connection with nature and the wilderness that surrounds our location. Our rich heritage also plays a role: Traditional values are embraced. Responsibility and respect are encouraged. And while there are laughs to share and fun to have, there’s also work to do and challenges to overcome. It’s this unique combination of philosophy, approach and tradition that makes Camp Manito-wish YMCA so enriching, inspiring and impactful. You can’t help but be affected by it — physically, emotionally, intellectually or spiritually —regardless of how long you’re here or what program area you experience. The result is a transformational and often life-changing experience that sees self-confidence grow, character enriched and leadership skills embraced. We call it the Manito-wish experience, but you’re welcome to call it whatever you like. The important thing is that you experience it for yourself! Since the very beginning of Manito-wish, these qualities have proven vital to encouraging personal growth and positive transformations. They’re the building blocks of character that provide a solid foundation for leadership. So we encourage participants to embrace them at every opportunity. Around Manito-wish, these eight attributes are often referred to and remembered by using the first letter in each word, creating “H.E.A.R. the R.O.A.R.” It’s a roar that rings out powerfully and positively — in word and deed — from anyone who’s had a Manito-wish experience.